Reconnecting with the great outdoors couldn’t be easier with some of the state’s most beautiful camping spots all within a few hours’ drive of the city. Here’s our guide to our top 5 favourite spots to reconnect with the great outdoors! Just three hours north-west of Brisbane, hides ancient Bunya pines, vibrant birdlife, and breathtaking views with your camping adventure. 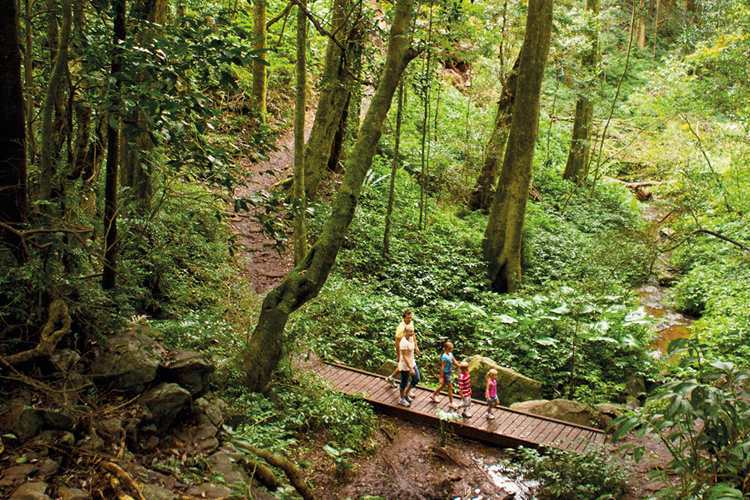 There are several ways to enjoy the majestic Bunya Mountains. You can take it easy, commune with nature with all the mod-cons of indoor plumbing and hot showers in the luxury of the gorgeous holiday homes and cottages at the peaceful Bunya Mountains Accommodation Centre. Or you can get right in amongst it and set up tents at one of the great camping areas in the mountains. One of our faves is the Dandabah Camping Area, with easy access, decent facilities, and several walks of varying lengths and levels of difficulty. Make the effort to do the three to four-hour Barker Creek circuit that passes through several incredible waterfalls and scenic lookouts – we promise it’s worth it! A popular area for experienced bushwalkers and rock climbers, Lake Moogerah is surrounded by towering volcanic peaks and open rocky cliffs. 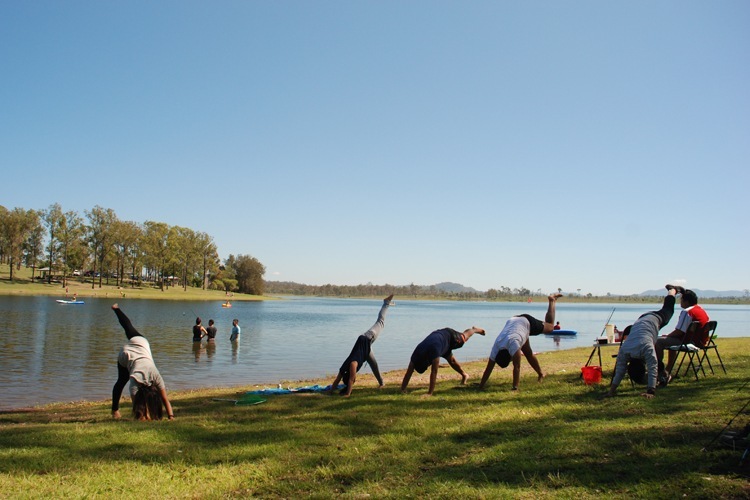 Located right on the water, Lake Moogerah Caravan Park is a good place to set up camp. They offer various accommodation options as well as powered and unpowered sites to camp with amenities, barbecues, a playground, and an on-site kiosk for all your essentials. The lake is fantastic for all forms of water sports, fishing, canoeing or just taking in the gorgeous scenery. If you’re heading out for the afternoon, not far up the road, you’ll also find the beautiful Kooroomba Vineyard and Lavender Farm with cellar door wine tastings, lavender shop and restaurant with incredible views. Down for a serious Aussie bush adventure? Mt Barney National Park is not messing around. Camping in the area is only accessible by foot, and the hiking around here goes from moderate difficulty up, but if you’re in for a challenge, you’ll be handsomely rewarded with ancient forests, and the habitats of rare animals and plant species. 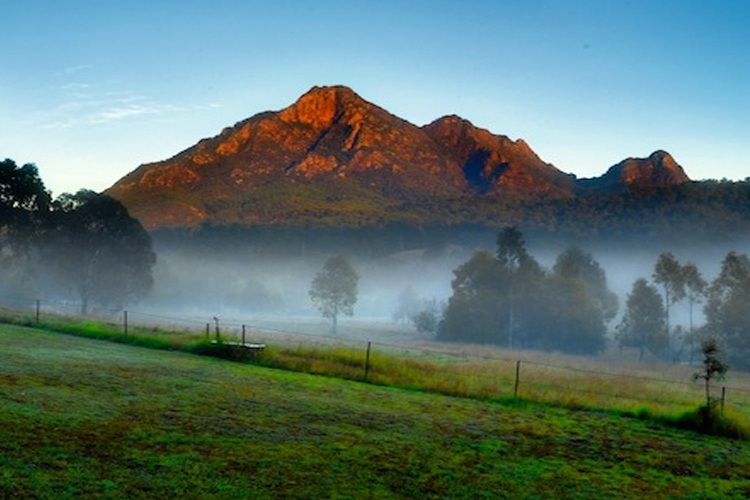 If you prefer to take a less rugged route, accommodation on the fringe of the mountains at Mount Barney Lodge offer stylish Queenslander homesteads, rustic cabins or glamping options, plus school holiday activities for kids, and experienced leaders taking you on guided walks or various other adventures in the glorious Mt Barney National Park. Come and camp at Giraween National Park in spring and you’re in for a special treat! Between the rocky crags and granite outcrops, nature puts on her most wonderful display with beautiful wildflowers bursting with vibrant colour. Even if you visit outside of spring, however, you still won’t be disappointed with precarious formations of balancing rocks like The Sphinx and the uniquely shaped Turtle Rock. 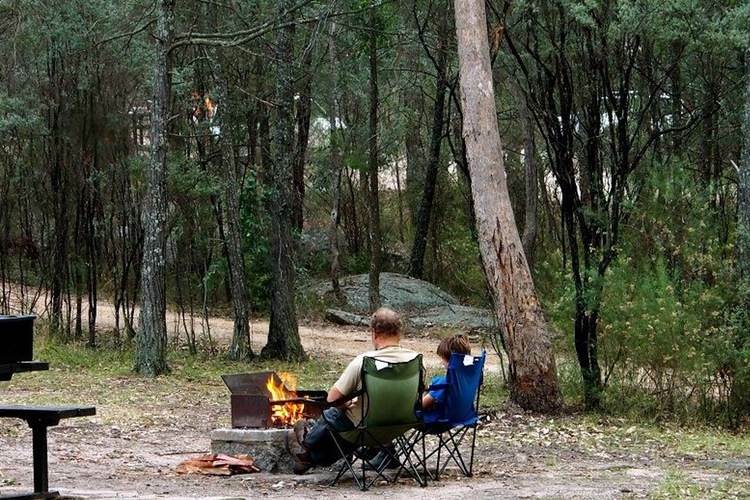 Camping is best at Bald Rock Creek (which is best for tents and camper trailers) and Castle Rock (which is better suited to motorhomes and caravans). You can also get closer to nature at the walk-in tent-only bush camping sites, but be sure to look up where you’re allowed to go before you head off. Lake Wivenhoe can get extremely busy in peak season, so be sure to book in advance, but with two camping areas (Captain Logan predominantly for tents, and Lumley Hill for caravans) you should be able to squeeze in somewhere. If you’re into fishing and watersports, Lake Wivenhoe is the perfect spot to get out on the water for a bit of sailing or canoeing or even just a dip. This is definitely one of those “ahhh, the serenity” kind of places. 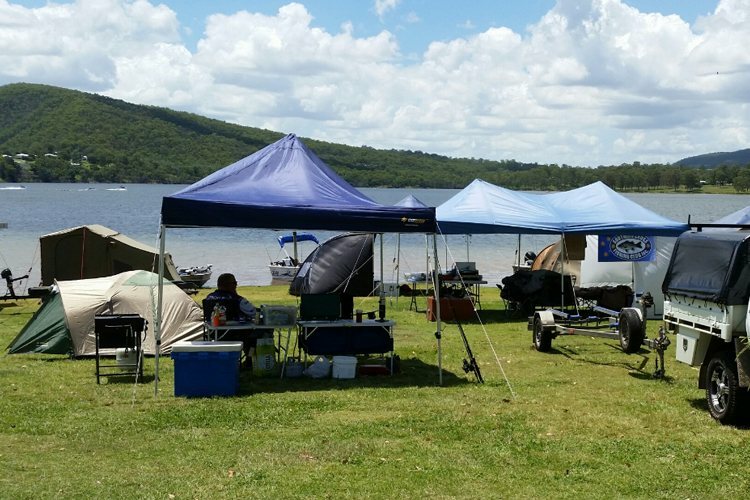 What’s your favourite camping spot near Brisbane? Let us know!